I had a wonderful time painting at Canyon Road Contemporary Art, the fabulous gallery who represents me in Santa Fe, New Mexico. Here is a view inside the gallery showing my latest work. 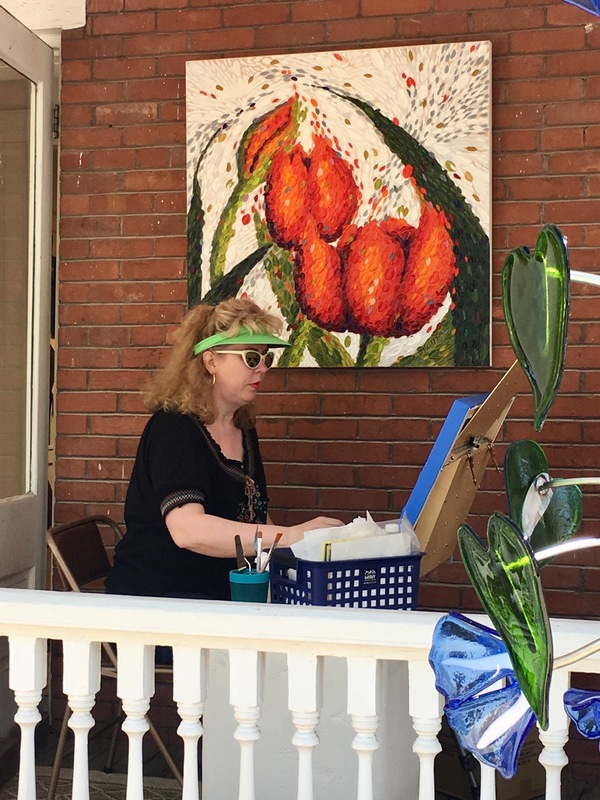 Note the yellow and blue pansy painting on the easel in the right side of the photo- this is the painting I finished en plein air at the painting demonstration. Here is the finished pansy painting- "The Young Family" 18"x24"x1.5" copyright Dena Tollefson. The interwined pansies in the foreground are a young couple who are in love. They dream of starting a family, represented by the pansy blossom behind them.